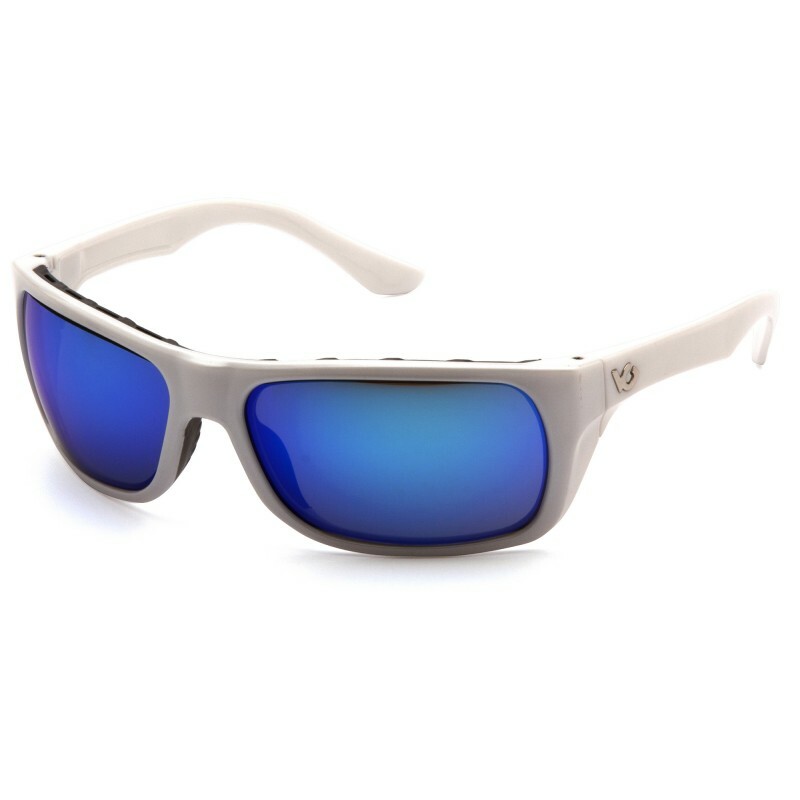 Venture Gear - Vallejo - White Frame/Ice Blue Mirror Anti-Fog Lens - Built-in rubber nosepiece. Stylish full-frame high performance eyewear. Vented frame increases air flow to prevent fogging. Anti-fog, scratch resistant polycarbonate lens provides 99% UVA/B/C protection. Packaged in a Venture Gear branded box with temple tag for counter top or pegboard display.